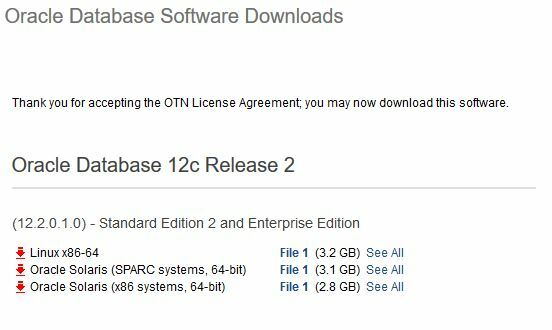 Finally Oracle Database 12cR2 (12.2) On-Prem is available. Previously it was available only on cloud services. You can download it from eDelivery or OTN. 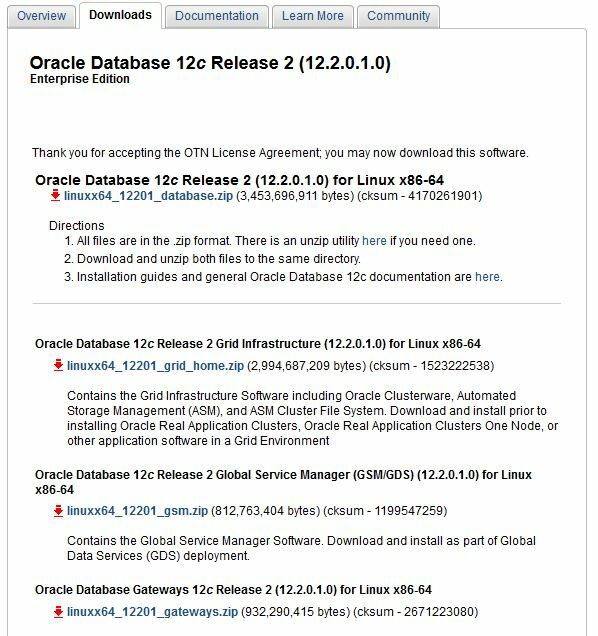 Good Thing is that , now only zip file for Database Home as well as Grid Home. Prior to 12.2, There are 2 zip files for each of them.